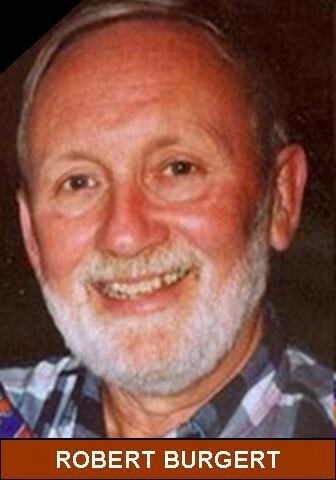 MOLINE -- Robert H. Burgert, of Moline, died February 20, 2005, at his home. Funeral services will be 11 a.m. Thursday, February 24, 2005, at Esterdahl Mortuary Ltd., 6601 38th Ave., Moline. Visitation will be 4-8 p.m. Wednesday at the funeral home. Burial will be int Greenview Memorial Gardens. Memorials may be made to Water Fowl USA, Mississippi Sportsman 2532, Davenport, IA 52809 or Multiple Myeloma Research Foundation, 51 Locust Ave., Suite 201 New Canaan, CT 06840. Bob was born July 16, 1944, in Moline, to Hilton and Buda (Bristol) Burgert. He married Cheryl Wagner on January 18, 1991, in Moline. Bob currently was employed at WilliamsWhite & Co. as a mechanical engineer. He had been employed there for 41 years. Bob loved to fish and was an avid hunter. He also enjoyed remodeling. He loved spending time with his family and sharing his love for the outdoors with his grandkids. Survivors include his wife, Cheryl; children, Angie (Mike) Neylon, Geneva, IIl., Jeff (Stacey) Burgert, Orion, Ill., and Troy (Angie) Kenney, Moline; grandchildren, Jennie and Eric Neylon, Luke and Adam Burgert, and Emma and Katelyn Kenney; mother, Buda Larson; sister, Linda (Larry) Pool, Woodland Park, Colo.; brother, Mike (Natalie) Burgert, Solon, Iowa; and many nieces and nephews. He was preceded in death by his father. Online condolences may be expressed to Bob's family by visiting his obituary at www.esterdahlmortuary.com.